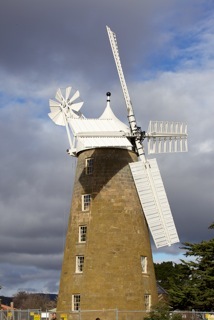 The Callington Mill and the Jillett Family Crypt both in Oatlands, Tasmania were the catalyst for this remarkable family story. This is the story about the different branches of the Jillett Family and the interesting life they led, from their arrival in Australia crammed deep in the hulls of convict ships, to become part of the fabric of modern Australia. The first Jillett to set foot on Australian soil, was Robert Jillett. He arrived in 1799 on board the Hillsborough. He was probably lucky to survive the journey, with almost 100 dying from sickness. When Robert Jillett was arrested for stealing and sent to Australia in 1799 as a convict, on board the "Hillsborough", he would have had no idea of just how large a dynasty he would be associated with, in a brand new Country. Neither would Elizabeth Bradshaw (nee Creamer) when she boarded the ill-fated Hillsborough, and was allowed to come to a new land with her husband Thomas Bradshaw. Elizabeth Bradshaw - a simply amazing woman for her time. Arriving in a convict settlement as a "free" woman, with her young daughter. Nursing her husband when he was sick on the voyage, and stepping off into an unheard of place, a child to support. Her husband landed with her, and in no time, she was involved in an altercation with him. She did, though what all ladies of those days did, she took a partner. That partner was Robert Jillett. They could not marry as he was a convict, but perhaps he had been assigned to her. They had a family and she prospered. She owned a punt and she had land in the Hawkesbury, as well as in Sydney. He partnered with, and later married, Elizabeth Bradshaw, a free woman, who also arrived on the Hillsborough, along with her convict husband Thomas Bradshaw, and her young daughter. Robert is perhaps one of a very few convicts who was sentenced to hang, not once but twice!!! Once in England and again in New South Wales. He was reprieved, and sent to Norfolk Island in 1803. They had 10 children, thus creating a very large family tree - one with many branches. This compilation of stories about the different descendants of Robert Jillett and Elizabeth Bradshaw would not be possible if it were not for the dedicated research carried out by Dr John Jillett and other family members in 1997. That original information has been further researched, and new information researched and added to their work.